There are certain types of hatred that stand apart as evil. Without any basis or rationale, some people choose to hate others simply for who they are as inferior and despicable human beings. The media gave significant coverage to such white narrow-mindedness, focusing on a particular person, Richard Spencer. These are stories to be covered, and the media used much ink to tell the stories. But the media would remain mum – completely silent – on the racism from the black and Muslim communities. Various agencies produce reports of hate crimes and opinions around the world. 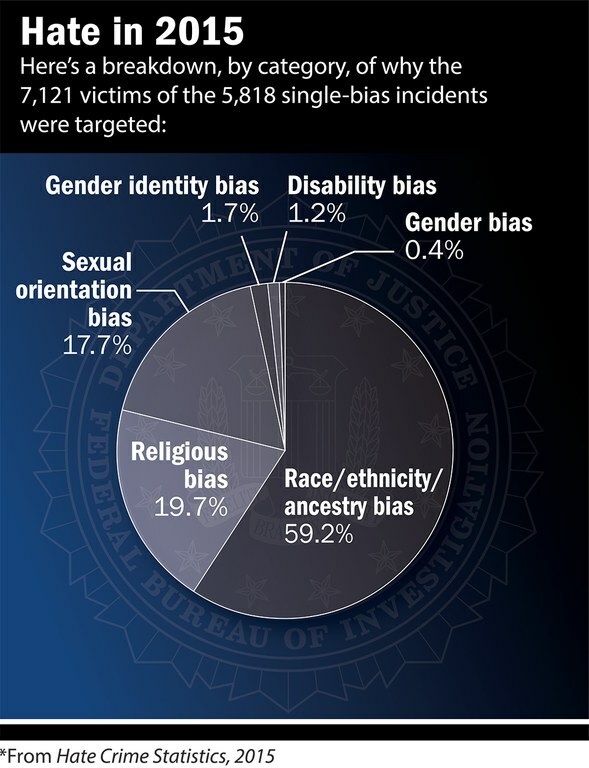 The FBI produces a report on hate crime statistics in the United States every year. The media’s coverage was a pathetic analysis that opted to echo its narrative that white men are racists and blacks and Muslims are victims. 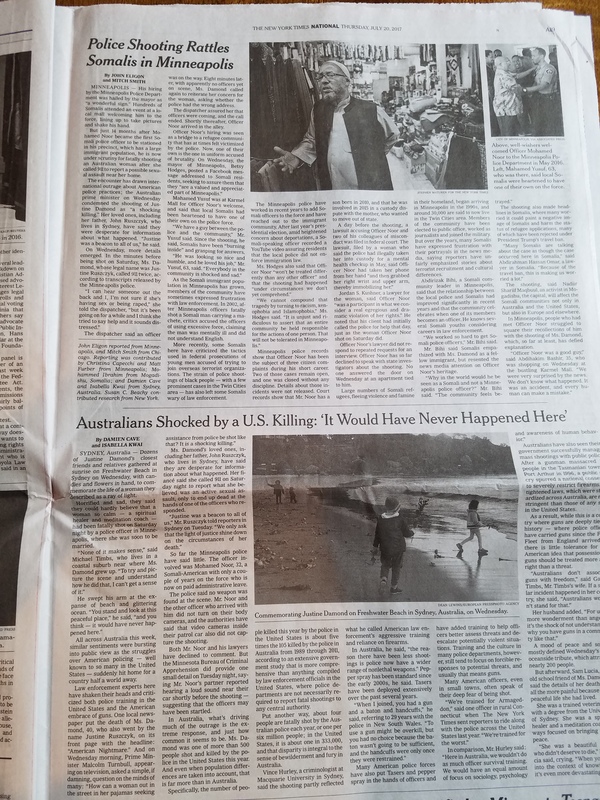 As reviewed in “The NY Times Discolors Hate Crimes,” the paper chose a header for its reporting “U.S. Hate Crimes Surge 6%, Fueled by Attacks on Muslims” in 2016, even though attacks on Jews dwarfed the number of attacks on Muslims. An analysis of the statistics would have shown the likelihood of white people committing a hate crime dropped in half between 2001 and 2015, and that black people were much more likely to commit a hate crime than white people. The reporting would be skewed again in 2017, as detailed in “Black People are Homophobic,” which showed how black people are statistically much more likely to commit anti-Semitic and anti-LGBT crimes than white people. But the media would not write about it. When the Anti-Defamation League (ADL) produced a survey of anti-Semitism around the world in 2015, which clearly demonstrated that Muslims were two to five times more likely to hate Jews than Christians living in the same country, the media also remained silent. So it was not a surprise when the noted black Muslim leader Louis Farrakhan delivered a vile anti-Semitic speech on February 25, 2018, that the NY Times would not mention it. His comment that “White folks are going down. And Satan is going down. 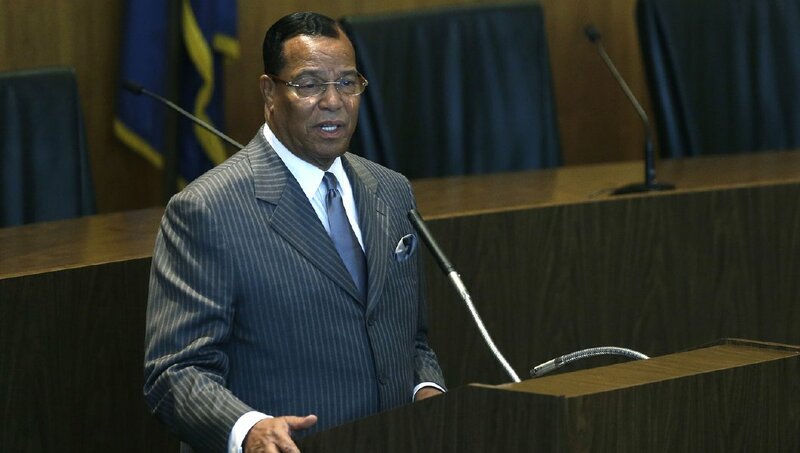 And Farrakhan, by God’s grace, has pulled the cover off of that Satanic Jew and I’m here to say your time is up, your world is through,” would not reach The New York Times’ readers. The SPLC review of the Minister of Hate detailing the hatred of his Nation of Islam group, including “While Jews remain the primary target of Farrakhan’s vitriol, he is also well known for bashing gay men and lesbians, Catholics and, of course, the white devils, whom he calls “potential humans … [who] haven’t evolved yet.”,” would remain hidden. Racism and anti-Semitism are noxious and terrible, and should be covered by the media. When the mainstream media only highlights racism and anti-Semitism when it is promoted by white men but fails to cover it when it comes from blacks and Muslims, which is much more prevalent, it is worse than #AlternativeFacts. It is racism itself. Where’s the March Against Anti-Semitism? If a Black Muslim Cop Kills a White Woman, Does it Make a Sound? There is a lot of back-and-forth about whether-and-why black people are more homophobic than white people. But the statistics speak for themselves. In September 2017, the FBI released its 2016 Crime Statistics which broke out hate crimes. The raw data spoke to the fact that racism – and against black people in particular – continued to be the most common form of hate crime in the United States. But breaking down the data by proportionality, revealed a great deal about the likelihood of any group to commit a hate crime. According to the US Census information, white people accounted for 76.9% of Americans and blacks accounted for 13.3% in 2016. That meant that there were 5.78 times more white people in the United States than black people. If an average white person and average black person were just as likely to commit a hate crime, one would expect to see a similar ratio of attacks. The FBI listed 156 and 34 attacks against Jews by whites and blacks, respectively. That meant that white people committed 4.6 times more attacks than black people, lower than the expected 5.78 times. That suggested that an average black person was 25% more likely to commit an anti-Semitic attack than an average white person. For Muslim attacks, the statistics were more dramatic, with 135 and 49 attacks by whites and blacks, respectively. With whites attacks being only 2.8 times the number of attacks by blacks, it suggested that an average black person was more than TWICE as likely to commit an anti-Islamic attack. The frequency of hate crimes by black people was even more stark in matters of gender and sexuality. In 2016, there were 414 and 326 attacks, respectively, by whites and blacks regarding people’s sexual orientation. The nominal gap between the numbers implied that an average black person was four times more likely to attack someone in the LGBT community. When it came to gender identity, the numbers were even more staggering, with 30 and 57 attacks by whites and blacks, respectively. The average black person was 10 TIMES more likely than a white person to commit a hate crime based on gender identity. These statistics are dramatic, and cannot be dismissed by black anger or white privilege. Articles such as the one in Black Enterprise magazine entitled “Black Homophobia Is Rooted in the Struggle Against White Supremacy,” that call for “avoid[ing] amplifying the false narrative that black people are disproportionately or egregiously homophobic,” is patently false. Real solutions come from looking at real facts, then attempting to understand the situation and developing a strategy. Spinning a narrative that is politically correct that denies reality will not help create solutions for a peaceful planet. There were two events that occurred in June 2015 that have defined race relations in the South. One of them has been seized by the media as the root cause of the explosion of racism embodied by the fights in Charlottesville, VA in August 2017. Yet the other is arguably the more clearly identified source of the tension. On June 16, 2015, real estate titan and media personality Donald Trump announced that he would run for president of the United States. The political novice declared that it was time to turn the country around and bring back jobs – good jobs – to America, to “make our country great again.” The Trump tagline was coined “Make America great again,” and he would go one to become the 45th president of the United States. On June 17, a white supremacist named Dylann Roof walked into a church in Charleston, South Carolina and shot and killed nine black worshipers. Roof’s “manifesto” was found in his house which detailed the many reasons he hated blacks and Jews. Roof’s view of patriotism had nothing to do with Trump’s pride in America, but a pride in being white. One week in June began a process of bringing a political lightweight to the presidency to “make America great again,” while a racist sought to “make America White again.” Each set in motion a series of actions and reactions in America which were deeply felt in August 2017. 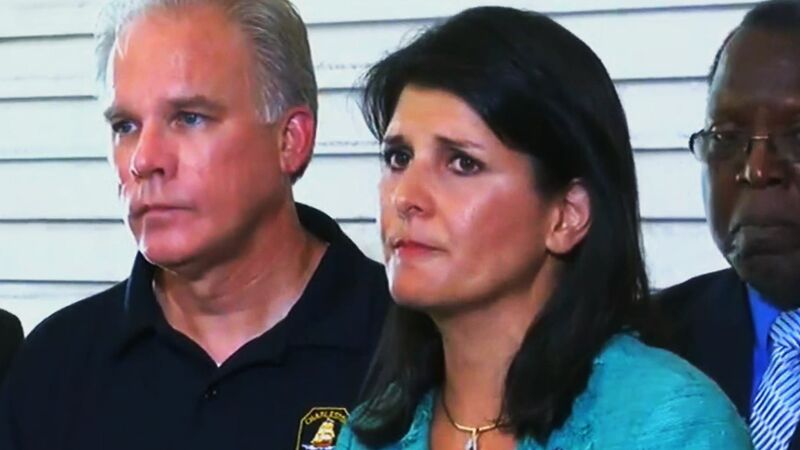 The Governor of South Carolina was quick to respond to the shooting of the black church-goers. Gov. Nikki Haley spoke to her state and the country on June 22nd in a remarkable speech. She spoke of her pride in her state and gave consolation to the wounded and injured. She was clear in her rejection of hatred and bigotry, while also noting that many people who are proud of their southern heritage have no malice toward minorities. In short, she brought comfort to all sides and stabilized the situation. And then she addressed the flag. The Confederate flag that flew by the state capital. “For many people in our state, the flag stands for traditions that are noble. 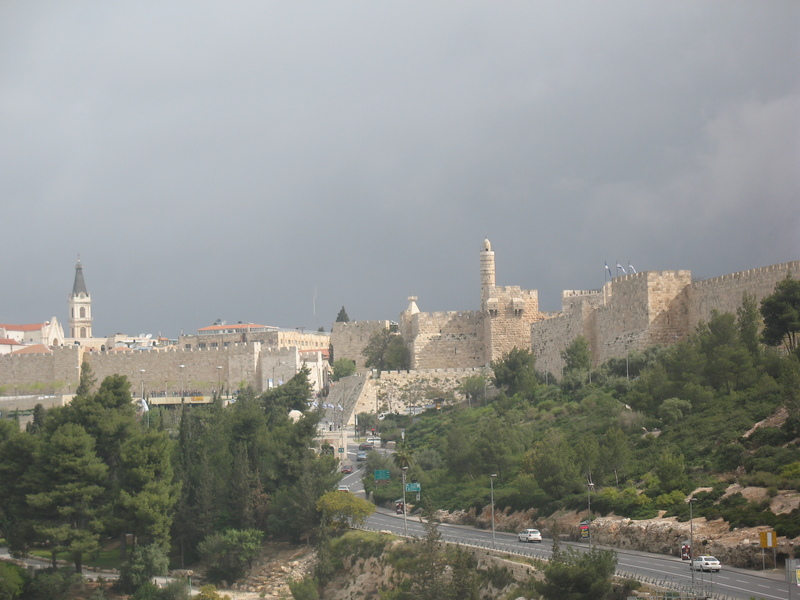 Traditions of history, of heritage, and of ancestry. Nikki Haley called for taking down the Confederate flag over the government grounds. She did it while noting that most people in the state respect the flag, but there are some that use it as a vehicle to violence. She said that she respects people that chose to keep that flag in their homes; it is a matter of free speech and expression. However, she concluded that in light of the history of pain and suffering in the name of the flag, the Confederate flag no longer should be endorsed by the government. A Republican female minority governor decided it was time for the southern states to remove the emblems of the Civil War fought 150 years earlier. Standing beside two Republican senators from South Carolina she declared “This flag, while an integral part of our past, does not represent the future of our great state.” Mainstream media would barely recognize the fact that it was Republicans – and a female minority Republican – that would shake the south. Haley’s actions set in motion a rethinking of the various symbols of the Confederacy. In May 2017 several statutes were removed from public spaces in New Orleans. 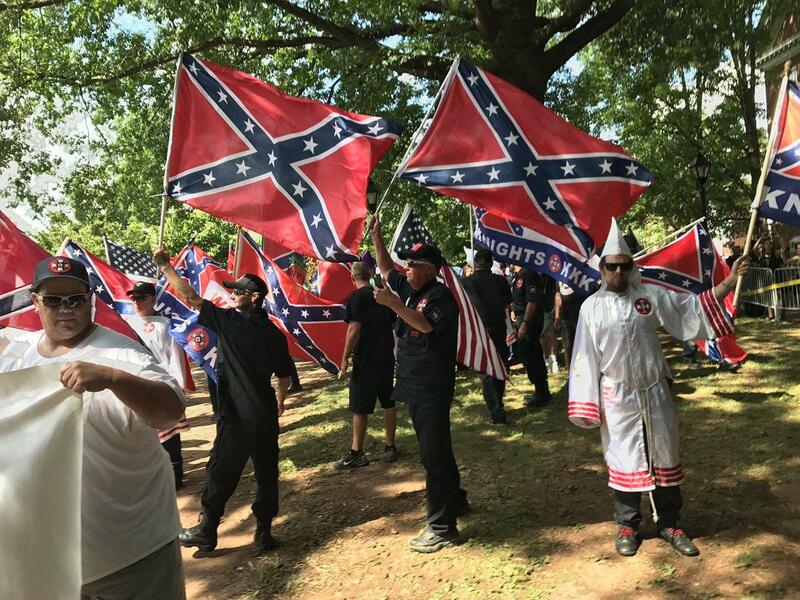 Other southern states were in the process of reviewing the status of their Confederate statues – which is what brought the White supremacists to Charlottesville, VA in August 2017: a protest to stop the removal of the statue of General Robert E. Lee. Donald Trump’s road to the presidency from June 2015 was remarkable in many respects. He not only beat out a field of respected Republican politicians to win the nomination, but he did so while alienating many groups along the way. Muslims were insulted by his call to ban Muslims from entering the country until the country devised a more thorough vetting process. Women were outraged when they heard a recording of his proudly groping women. The Latino community was appalled when he referred to the many immigrants that came to the USA from south of the border as “bad hombres.” The list would go on. Along the way his colleagues in the Republican party would abandon him. In a remarkable occurrence in American politics, one Republican leader after another would say that they were appalled at Trump’s comments and would not vote for him. The press ate it up. They ridiculed Trump and blamed him as the source for disunity and bigotry in the country. But he won the presidency anyway. Trump would not give roles in his cabinet to the Republican politicians that bad-mouthed him. Only Governor Nikki Haley – who distanced herself from Trump’s comments, but not the man – would get a role in his administration, as US Ambassador to the United Nations. Over the first months of his presidency, Trump would continue to make remarks that angered wide swaths of the country. The media continued to state that Trump was a racist, by not disavowing the support of White supremacists, and making laws alienating minorities – whether a ban on Muslim refugees or edicts to expel illegal immigrants. By August 2017, when the Charlottesville, VA White supremacy protest came to town, Trump’s comments could be predicted. Once again, Trump fueled the media’s wrath with his comments. They admonished him for endorsing racism and allowing it to rear its ugly head in the country once again. The monumental gap between Nikki Haley and Donald Trump was clear. Haley took decisive action to turn back divisive symbols in the country, while Trump called for keeping them in place. Haley calmed the situation with language that reached out to ALL parties, while Trump used language that only appealed to a sliver of the public. And the media gave Haley little credit for calming the situation while it blamed Trump for everything. Racism has always existed in the United States; it is not new in the age of Trump. White racism has actually been on the decline for several years according to FBI reports, and it is much less common in the South than liberal northern states like Massachusetts. It is both unfortunate that Trump aggravates a tense situation, and that his impulse to attack the media – and the media’s impulse to attack him – takes away from the important debate about the symbols of the Confederacy in our country. Haley talked about it clearly and with conviction. But Trump and the media can only talk about each other. White nationalists held a rally in Charlottesville, VA on August 12, 2017 claiming that America was throwing out its white, Christian and southern traditions. Counter-protestors showed up in an attempt to rebut their views. Violence ensued. A death. President Donald Trump issued a statement that condemned hatred and violence, in a statement that was ridiculed by both the right and left-wing for not calling out the white nationalists. The mainstream media has used the Charlottesville incident to foster a narrative that has been building for the past two years: that racism is principally a white-male issue, and that it predominantly stems from the south. These white racists have become emboldened under President Trump, who has done little to stem the violence and vitriol. It’s worth doing a fact check. The FBI does an analysis of hate crimes every year, the last complete year of data being 2015. The frequency of hate crimes in the South is less than in the Northeast. Massachusetts – which elected the most left-wing senator in the country – was the most racist state by a far margin. A person in Massachusetts was 3.5 times more likely to suffer a hate crime than an average person in Virginia or North Carolina. The FBI report also broke down the hate crime statistics by offender. The statistics go against the commonly held narrative. The numbers show that white people commit more racist attacks than black people. However, there are approximately 5.75 times more white people than black people in the USA, so the data must be viewed by the likelihood of an average white or black person committing a bias crime. In every year, the likelihood of an average black person committing a hate crime was much greater than an average white person. The chart above shows some interesting trend lines. From 2000 to 2003, an average black person was 47% more likely to commit a racist crime than a white person. That likelihood jumped to 92% in the years 2004 to 2011. It escalated yet again in the years 2012 through 2015, when an average black person committed 164% more racial attacks than an average white person. The trends related both to blacks committing more hate crimes and whites committing fewer. White people were pretty consistent in the frequency of their attacks in the 2000-2003 and 2004-2011 periods. However, the frequency of black attacks jumped significantly in the 2004-11 span. But in the 2012-2015, it was the sharp decrease in white racism that accounted for the dramatic change, when attacks by blacks were relatively consistent. If leadership accounted for the difference in bias attacks, why would white people not change their actions during the first Obama term? Why did black people suddenly change the frequency of their bias attacks in 2004, and not earlier in Bush’s term? Was Trump’s election a cause for a change in the frequency of attacks by both whites and blacks? The FBI hasn’t completed its 2016 report at this time. But the leap to conclusions about the connection also has a leap to the nature of cause-and-effect. Why would a black president make white people commit fewer hate crimes, but a white president make blacks commit more? There was no particular race riot in 2004 or 2012 that could account for a particular tipping point in race relations. Is it possible that the trends are outside of leadership influence? The lazy mainstream media will fill you with stories that support your own biases. Consider looking at actual statistics before jumping to incorrect conclusions that white southerners are more racist than black Yankees, and that leadership is responsible for all of the disgraceful actions of racists. On July 15, 2017 in Minneapolis, MN, a black Muslim police officer shot and killed an unarmed white Australian woman. You would have a hard time learning about the ethnicity of the police officer from The New York Times. 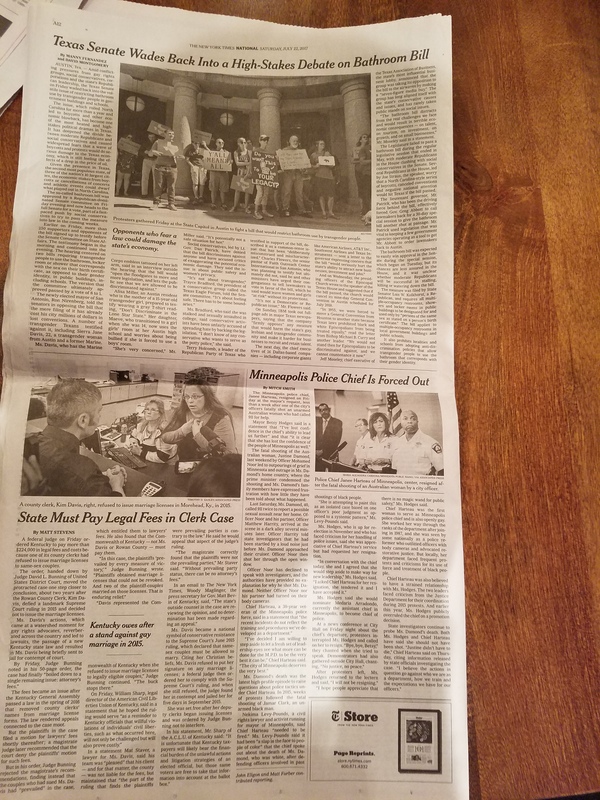 On July 22, the NYT ran an article entitled “Minneapolis Police Chief Is Forced Out.” The article relayed a lot of personal background of key players in the story, including that the chief of police was the first woman to serve in that capacity and was openly gay. It spoke of a a civil rights lawyer that argued that the chief of police “needed to be fired” because the chief only decried the recent killing of the Australian woman only because she was white, while she had always defended the police in past shootings when the victims were black. With all of that background, you would imagine that the Times would highlight that the police officer, Mohamed Noor, that killed the unarmed white woman was black. And from the Somali community. But the Times decided not to mention any of those points, even while it described particular details of others in the story, as well as protests from back in 2015 following the killing of an unarmed black man. When the Times did cover the fact that the police officer was a black man from the Somali community (it never wrote that he was a Muslim), it did so from the perspective of the Somali Community. As if the issue was purely one of media bias. As detailed in “Republican Scrutiny and Democratic Empowerment of Muslims in Minnesota,” the US House Committee on Homeland Security released a report in September 2015 flagging the problem of jihadists in Minnesota. Rep. John Kline, a member of the House Armed Services Committee said that “homegrown terrorism remains a serious issue in Minnesota.” Liberal politicians including Senator Al Franken and then presidential-hopeful Hillary Clinton acknowledged the findings of the report, while they argued for increased cooperation between law enforcement and the Somali community to combat terrorism. When a white police officer shoots an unarmed black man, the New York Times repeats the race of each party over-and-again for days. However, when the attacker is not just black, but a Muslim, the Times reorients the story for its readers. Another edition of the New York Times #AlternativeFacts. The Media Finds Religion in Matters of Security. Sometimes. In March 2017, YouTube was criticized for placing advertisements next to videos that were considered disturbing expressions of hate, including racist and anti-Semitic videos. 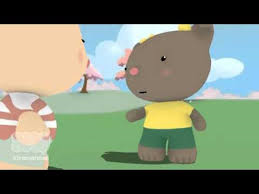 Large brands like AT&T, HSBC, Starbucks, Volkswagen and Walmart, pulled their ad campaigns from the media giant as they did not want to be associated with such ugly videos. The Internet is rife with extremist videos, but Google has had a difficult time using algorithms to flag them. FirstOneThrough does not seek profit from any of its videos, so the removal of advertisements is not a source of concern. However, the action underscores the difficulty of algorithms to distinguish between a simple phrase and the broader discussion in the videos. In the meantime, supporters of Israel should continue to watch and share the videos in the series to not only become further educated about the incredible democracy, but to push anti-Israel videos off of the first page of the YouTube search screen. The argument is by all accounts a practical one, not a moral one. The quote suggests that people should stand up against prejudice because hatred is a slippery slope. The selfish reasoning has different aspects: fight for others before the evil comes for you; and fight for others, and hopefully they will fight for you as well due to the same logic. Do world leaders actually use such self-motivating arguments in practice? Are the arguments effective in curbing hate and attacks driven by hatred? Consider the situation of Jews in France over the past few years. The Anti Defamation League did a study of anti-Semitism in 2014 which it updated in 2015. 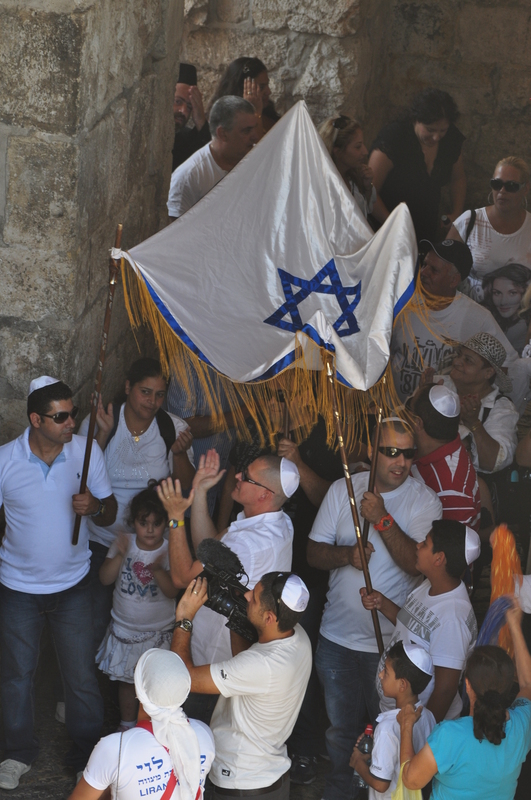 The study found that while most countries in the world witnessed very small changes in the level of hatred against Jews, France saw a dramatic drop. 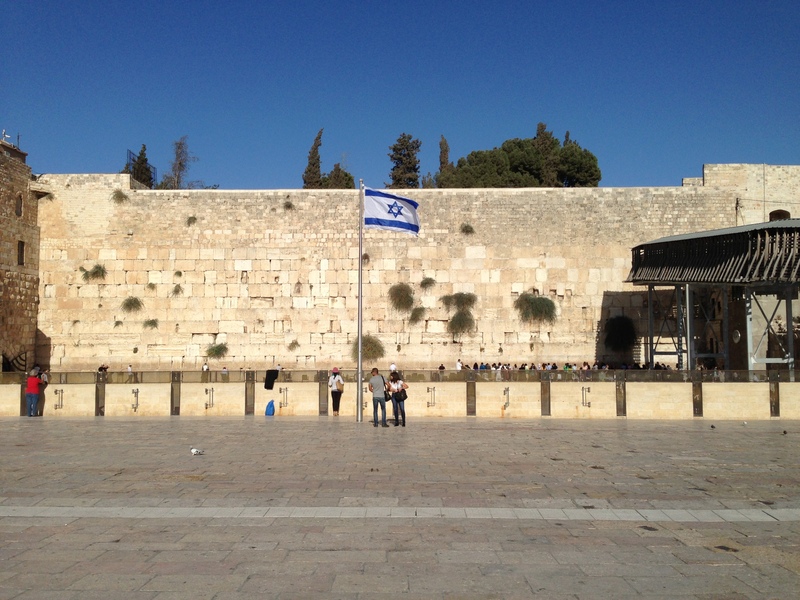 Christians: In 2014, 40% of French Christians held anti-Semitic views. That number dropped to 17% in 2015. Media: In 2014, 44% of France thought that Jews had too much control of the media, which dropped to only 21% in 2015 (Muslims were almost 3 times more likely to hold that view). 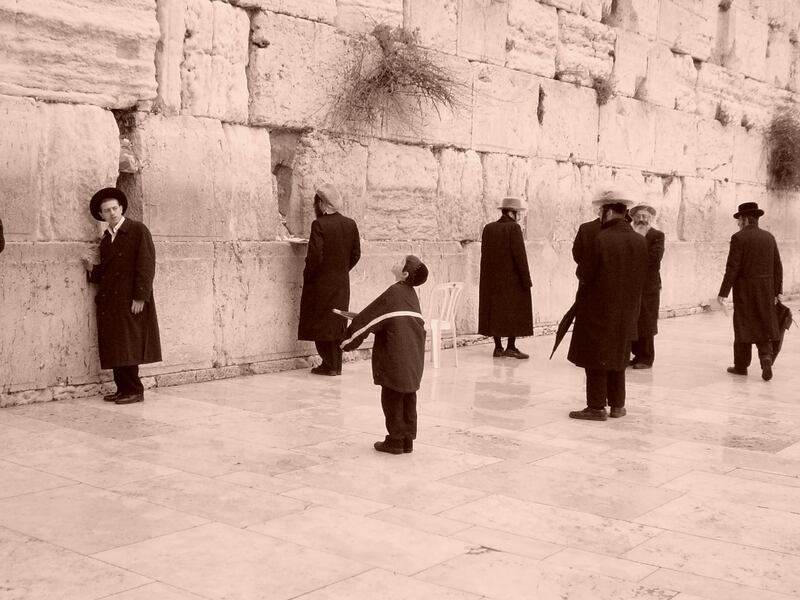 World Wars: In 2014, 18% of the French considered the Jews behind major world wars. In 2015, that number was one-third, 6% (with Muslims FOUR times as likely as Christians to hold such view). Such statement from the ADL would seem to confirm that speaking up in defense of a persecuted group improves their situation, and indeed that may have been a contributor to the dramatic improvement of the French perception of Jews. In June 2015, the Pew Research Center did a survey of the French in their attitudes towards Muslims in the aftermath of deadly attacks committed by Islamic terrorists. In a surprising finding, the French viewed the group that perpetrated the violence MORE favorably than before, going from a 72% favorability rating to 76%. The improvement in opinions went across all political ideologies, including the far right which saw a movement of 60% to 63%, including a strong favorability rating doubling from 8% to 16%. This dynamic happened in the United States after the 9/11/2001 terrorist attacks as well. Overall, Americans’ positive impressions of Muslims jumped from 45% to 59%, with the far right jumping the most, from 35% favorable feelings to 64%. The famous Niemoller quote considered people’s selfish motivations to defend others, while world leaders appealed to people to turn away from hatred in pursuit of unity. 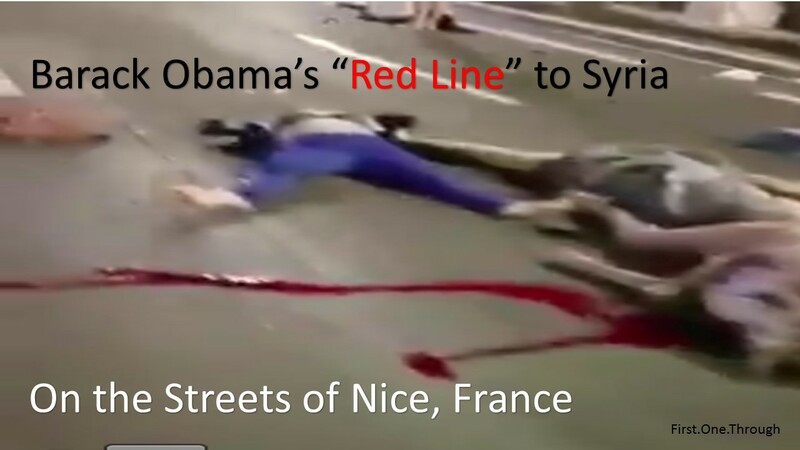 Whether in France or the USA, those calls seemed effective in changing attitudes, but did they lower the number of attacks? In the United States, the number of attacks inspired by radical Islam has accelerated since the middle of 2015, with roughly 30 incidents over the past year (compared to 62 in the prior 14 years). Have the number of attacks increased because of the calls by President-elect Donald Trump to perform “extreme vetting” of Muslims interested in coming to the United States from countries at war with the US? Possibly. It is certainly an extreme jump in jihadist attacks. However France has also seen a dramatic increase in the number of Islamic attacks, which began to spike in December 2014. There have been roughly 20 attacks over the past two years, which roughly equals the prior 25-years’ of attacks. Various pundits speculate a number of causes including the French colonialist past and the marginalization of Muslim immigrants in French society. But those excuses must be dismissed, as those dynamics have been at play for dozens of years. Others point out to the rise in the number of Muslim immigrants from the war-torn Middle East. These immigrants arrived into France, Belgium and other countries, bringing their anger with them. The stories they tell of the destruction of their homes fuels the anger of the resident Muslims that were already in the country. Rather than be grateful for their safety, they attack the liberal society which replaced their Muslim world. While the attacks by Muslims has led to the growth of far-right nationalist parties that argue to stem the flow of Muslim refugees, the far-right has overall been more positive towards the Islamic community. It would appear that calls for calm and unity by government leaders is effective in reducing hatred, but does little to curtail terrorism. To reduce terrorism, the most effective course may be to end the wars in the Middle East, including Iraq, Somalia, Syria and Yemen. Peace at home is achieved with peace abroad. Summary: Democrats have been pounding on Trump and his loss in the popular vote to defend the legacy of their anointed liberal messiah. Stating that Clinton Hillary lost just because of “racists and misogynists” as the New York Times declares, is to ignore the facts of the failed Obama policies. Barack Obama was hailed as the deliverer when he was elected president in 2008. Indeed, in the election of 2008, the Democrats swept all branches of government, including adding 8 seats in the Senate, 21 seats in the House of Representatives, plus a governorship. When Obama was sworn into office in January 2009, Democrats held 57% of the Senate, 59% of the House and 58% of the state governors. Quite a victory and mandate. The Democrats chose to use their mandate to advance a liberal agenda. Their primary focus was healthcare which had been increasing in costs at rates that far surpassed inflation. Rather than implement solutions that would cut to the core of the cost structure like major tort reform, they advanced a program for Americans to subsidize the millions of uninsured, creating a new, complicated entitlement program. The American people balked at the Democrats’ actions. In the 2010 election, the Democrats were trounced, losing 6 seats in the Senate, 63 seats in the House and 6 governorships. Did the population that had just elected Obama two years earlier suddenly become racist and xenophobic? In the 2012 election, Obama won the presidency again, and brought along some Democratic victories in the Senate (+2) and House (+8), while it lost another state governor to the Republicans. But the net losses for the Democrats over Obama’s first term were still huge: -2 Senate seats; -56 House seats; and -10 governors, from 29 down to 19. All of these losses were realized before the rise of Donald Trump. The 2014 election witnessed another thrashing of the Democrats. The Democrats lost 9 Senate seats, 13 House seats, and another 3 governorships. And Donald Trump had still not declared that he was running for office. By the time Barack Obama steps down from office in January 2009, he will have stood watch as his party was eviscerated over his eight years. The Democrats would have lost the majority of the Senate (from 57% to 48%), the majority in the House (from 59% to 45%) and state governors (from 58% to 30%). The vast majority of all of the losses happened during Obama’s first term, post passing of Obamacare. How has the Democratic party reacted? What did the liberal press claim was the reason for Democrats losing the White House? The Democrats could not reevaluate the party’s stances and actions. It could not fathom that the American people did not care for the failures in US foreign policy, doubling down on entitlements rather than entitlement reform, or a sloppy economy. The Democrats chose to look through a lens of hatred as it considered an America that turned on its messiah and his second coming, in Hillary. Men preferred Obama in 2008 by a small margin, but turned against him by a spread of 7 points in 2012. By 2016, men preferred Republican Donald Trump by an incremental 5 points (a total 12% spread). The liberals ignored the facts and trends. They declared that men are misogynists because they didn’t vote for Hillary. The reality that men turned away from Democratic policies – by an even wider margin – four years earlier is seemingly irrelevant to people who view things from a singular biased vantage point. Hillary preached to her liberal base as she proudly called Republicans enemies. She did not bat an eyelash as she labeled half of America “deplorables.” Only white racists and misogynists could possibly turn from Obama and Hillary in this world view. To fathom that America would reject this woman, or reverse course in undermining the legacy of the first black president, was too much for the liberal psyche. So the liberals continue to paint their political opponents as the “alt-Right,” as they double-down on a more “progressive” approach against a stupid and racist populace. 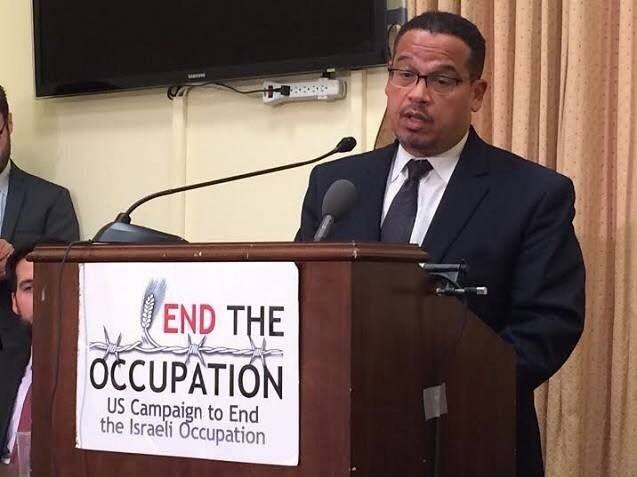 They have chosen to nominate a far left black Muslim to head the Democratic Party. The Democratic approach seems to be: if you challenge us because of poor policies, we can accuse you of racism, homophobia, Islamophobia, or any slur that seems appropriate. And who is better to represent that liberal view of a biased America, than the new President-elect, who has made comments that offend Muslims, women and illegal immigrants? 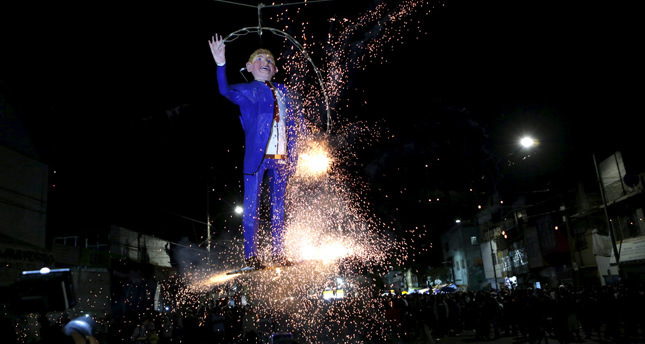 Democrats will pound on the Trump piñata and burn the American flag as they try to protect the legacy of their liberal messiah. The divisive America will not abate until people focus on core issues, instead of name-calling. On November 14, 2016, the FBI released its statistics for hate crimes in the United States. Most media outlets opted to cherry-pick facts from the report. As detailed in “NY Times Discolors Hate Crimes,” the media pushed a focus on the jump in crimes against Muslims as it implied that hate crimes were coming from angry, racist white Trump supporters, even while the media refused to publish the steep decline in whites as the attackers, from 61% of the total in 2008, to 49% in 2015. So with the backdrop of the far-left wing Massachusetts Senator Elizabeth Warren saying that President-elect Donald Trump is “doubling down on racism,” it is worth telling people what the media refuses to publish: Massachusetts is the most racist state in the union. The FBI’s 2015 Hate Crime Report broke down the number of hate crimes by state. It also included the population in the areas that report the crimes, as different counties and regions do not always file reports, and it enables an easier comparison between states with a wide range of populations. Massachusetts had the greatest number of hate crimes by a wide margin, with one hate crime on average for every 16,000 people. By way of comparison, states that had race riots in 2016 such as North Carolina and Missouri experienced one hate crime for every 61,000 people. Maryland, which had riots in 2015 after the police killing of Freddie Gray, had one hate crime per 146,000 people. The deeply conservative state of Texas had one hate crime for every 143,000 people. Massachusetts faired terribly compared to liberal states of similar size as well. New Jersey (one per 27,000) and Washington (one per 26,000) were the typical averages for hate crimes in 2015. More conservative, but similarly sized Arizona (one per 24,000) and Tennessee (one per 30,000) give a sense of the national average among states with 6-7 million people. So why did Massachusetts, which elected a radical liberal to the senate, have 63% more hate crimes on average than most states? Why has the frequency gotten progressively worse in her state every year (one hate crime per 17,300 people in 2014, one per 18,500 in 2013)? The two primary choices are either that: 1) Massachusetts residents are much more inclined to label acts as a “hate crime” compared to the rest of the country, or 2) Massachusetts is the most racist state in the USA. 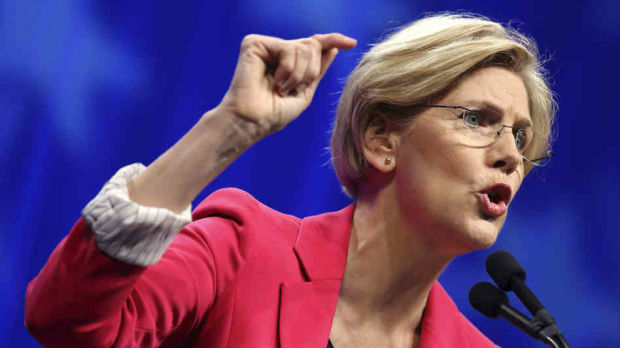 Either way, it makes the shouts of “racist” coming from the Warren fringe, a bit problematic. On November 14, 2016, the NY Times published an article about hate crimes in which it deliberately misled its readers in several areas. The article entitled “U.S. Hate Crimes Surge 6%, Fueled by Attacks on Muslims,” sought to continue a NY Times narrative that Trump supporters are white racists and xenophobes. In this article, it chose to do this by emphasizing certain facts, redirecting the reader, and omitting some statistics completely. All crimes are terrible, and hate crimes are particularly noxious. If America wants to confront them with solutions, it needs to review them honestly. The title of the article focused on the rise in hate crimes against Muslims, as did the article itself. While there was a significant jump in the anti-Muslim attacks, an average Muslim in 2015 was still 50% LESS likely to be attacked than an average Jew (257 attacks against an American Muslim population of 3.3 million, versus 664 attacks against 5.8 million American Jews). Hey reader! Over here! Focus on Muslims and transgender attacks! That’s the real story, not the groups that are subject to the most hate crimes! Never mind that the total number of attacks against Muslims and transgender people COMBINED was LESS THAN HALF of the number of attacks against Jews. “WASHINGTON — The F.B.I. reported Monday that attacks against American Muslims surged last year, driving an overall increase in hate crime against all groups. The data, which is the most comprehensive look at hate crime nationwide, expanded on previous findings by researchers and outside monitors, who have noted an alarming rise in some types of crimes tied to the vitriol of this year’s presidential campaign and the aftermath of terrorist attacks at home and abroad since 2015. This is complete editorializing by the Times. The FBI report gave a statistical analysis and breakdown of attacks that occurred in 2015. The report did not get into speculation about what drove people to commit the crimes. It certainly did not cover November 2016 when the report was solely about 2015. For the Times, Donald Trump equals September 11 for Muslim Americans. Yet, if one were to scratch the surface, it would be clear that the number of attacks against Muslims has up-and-down years. For example, hate crimes against Muslim Americans spiked in the early Obama years compared to the George W Bush years. Under President Bush in 2008, there were 105 anti-Muslim attacks, which jumped by 52% to 160 attacks in 2010 under President Obama. Such attacks also jumped 15% between 2013 and 2014, well before the rise of Trump. The Times did not discuss other statistics from the FBI report, such as the ethnicity of the offenders. In 2015, whites were twice as likely to commit a hate crime as a black American. Consider that there are over five times more whites than blacks in the US. That means that black people disproportionately are committing hate crimes (if all people are as likely to commit a hate crime, it would suggest that there would be roughly five times as many white offenders as black offenders, not two times). The trendline about the offenders of hate crimes is also important to highlight, but dismissed in the Times. In 2001, white people committed 4.5 times more hate crimes than black people (5,149 versus 1,157). That difference is more in line with what would be expected by the larger white population. However, the New York Times did not report on the alarming trend of black people committing a growing and more disproportionate share of hate crimes, because it undermined the paper’s narrative that white Trump supporters are the bigots and “deplorables.” Shining a light on the SHRINKING number of white attackers (2,657 in 2015 versus 5,149 in 2001), went against the liberals view of the world. The reason that independents and libertarians are abandoning the Democratic Party is liberal’s blind adherance to a narrative that has no basis in facts. How can such a party hope to arrive at solutions to society’s ills if it will not honestly look at the world as it is?